I have gotten a little better with age. I’m still reluctant to ask for help, but if it is offered, I do try to accept gracefully. I have come to understand that other people need to serve as well, and sometimes it is OK if I am the beneficiary of that service. Indeed, I am thankful for it. We all need each other in this world. As important as it is to serve, it is also important to allow oneself to be served. Sometimes, that can be the harder lesson to learn. It’s a common question: Why would you want to give something up for Lent when you could do something positive instead? After all, shouldn’t Lent be a time of self-improvement? Shouldn’t we pray more? Give more away? Be kinder, more patient, and more willing to forgive? Yes! Yes! and Yes! We should absolutely do all those things. But, giving something up for Lent still matters. The three traditional pillars of Lenten observance are prayer, almsgiving, and fasting. The three are intimately interconnected and all help us become more loving. Prayer is conversation with God. It draws us into deeper relationship with God, and by extension, our neighbor. It allows us to focus on what matters, what God wants us to do, and to live a life of Christian love. Almsgiving calls us to be generous – to help those in need. It invites us to live with less and give out of love. What do we need? What can we live without? What are we attached to that could better be used by someone else? Which brings us to fasting. Traditionally, fasting meant having only water or, perhaps, bread and water. While some still practice such an extreme fast, the term has a looser interpretation today. On Ash Wednesday and Good Friday those between the ages of 18 and 59 who are physically able to fast are asked to eat only one full meal and two smaller meals with no eating between meals. What we tend to refer to as “fasting” from something in particular is more accurately termed “abstaining.” On Ash Wednesday and Good Friday and all Fridays of Lent, Catholics over the age of 14 should abstain from meat. Nevertheless, whether you call it “fasting” or “abstaining,” giving something up you enjoy during the Lenten season has value. If you give up a specific food, the money you save not buying that food can be given to charity. If you give up an entertainment (television, computer, etc), you can use the time you save more wisely. You can spend it in quality time with your family or other people. Either way, your fasting directly leads to a greater love of neighbor. In addition, giving something up helps build spiritual character. Making sacrifices is hard. There are many times in life when we have to do things and avoid things we may not want to. Deliberately avoiding something for a greater purpose helps us develop discipline and mastery over our bodies and desires. While it might not make it easy to make those bigger sacrifices; it does help make it easier. Self-control in small things leads to self-control in larger things. This also helps us live a life more fully centered on love. This holy season, embrace the three aspects of Lenten observance. Pray, give generously, and sacrifice. By the time Easter comes, you will have become a better, more loving, person as a result. Get Out of Your Spiritual Comfort Zone! I am a creature of habit. I tend to exercise the same way, eat the same things, and engage in the same activities. When I go for a walk, I usually take the same route. My work, though varied, normally involves the same type of tasks. I get up and go to bed at the same time every day. Every now and then, however, I do branch out of my tried and true routine and try something new. This week has found me learning how to play chess. No big deal, right? Well, it is to me because I swore that it was something I simply could not do. My children have played since they were small. I’ve tried before to learn and been totally lost. Over the years, they have begged and begged me to learn. Umm. . . Good point. Don’t you hate when your children use your own words against you? So, a children’s library book on chess later, I am proud to report that I can now actually play chess. There is no danger of my reaching Grand Master status, but I now know how the pieces move, and I can play the game with them. I even won once (I would love to say that was due to my skill, but pure luck gets all the credit). To my surprise, I find I am enjoying the game! Getting out of one’s comfort zone and trying something new can be good for both the mind and the spirit. With Lent right around the corner, it is a good time to think about getting out of your spiritual comfort zone. What is something that you could do this Lent that would stretch your spiritual muscles? Perhaps you always meditate, but tend not to use any formal prayers. Perhaps this is the time you could commit to trying to pray a rosary every day, or say a novena for a special intention. Or, the reverse could be true. Perhaps you rely on formal prayer but you have never been able to meditate. Consider taking a few minutes a day to simply sit in God’s presence. If you always give something up for Lent, perhaps this could be the year you try to do something extra. If you always do something extra, this could be the year you try fasting from a favorite food or activity. There are many ways to engage in some new spiritual activity this Lent. You could attend daily Mass, or say the “Stations of the Cross” every day. You could make greater use of the Sacrament of Reconciliation. You could engage in greater charitable giving, or make a concerted effort to work on a particularly difficult personal relationship. Lent is a time set aside to help us work on ourselves, to dedicate our lives to prayer, fasting, and almsgiving. Hopefully, by the time Easter morning greets us, we are a little bit better, a little bit stronger in our spiritual lives. Lent offers the invitation to get out of our spiritual comfort zone and try something new. May it be a holy season for all of you. 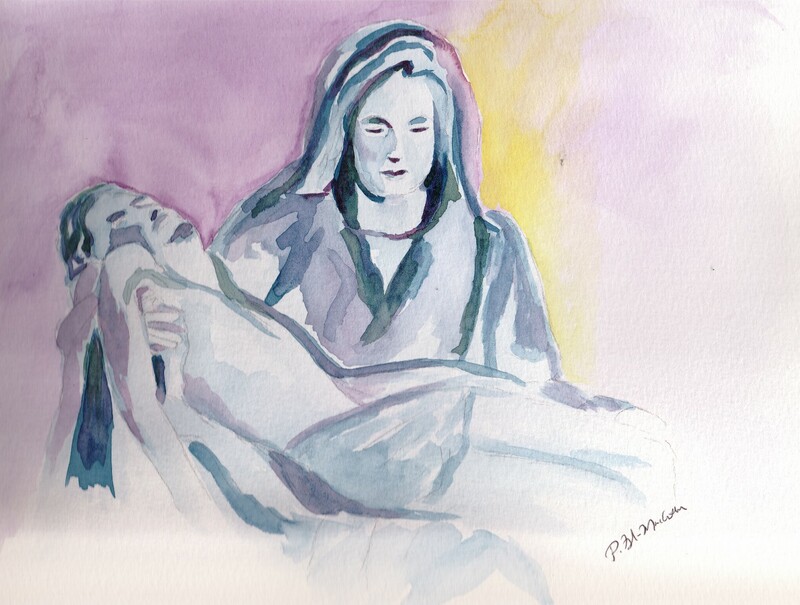 Mary sits, holding her dead son as she once held him as an infant. She is in utter pain, suffering the deepest hurt a mother can experience. Yet, even in the darkness, the light is there. 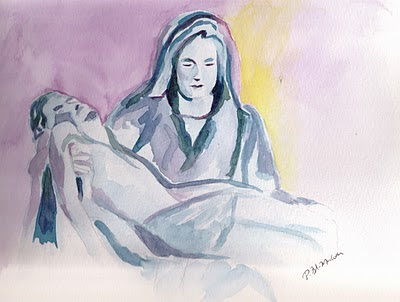 God is there – with Mary and with us when all seems lost. This is not the end of the story. This Lent, my family is embarking on a different type of sacrifice. I had heard of the 40 bags in 40 days challenge last year, but quickly dismissed it. In fact, I read about it again this year on Fat Tuesday and dismissed it again. Anyway who knows me or has visited my house knows that housekeeping is not my strong point. Neither is neatness. I had the desk in elementary school that was overflowing with papers. My locker in high school was a health hazard. I once had to explain to a boss that even though my desk looked like a tornado hit it, I knew where everything was and did, in fact, have every task under control. Anyone else see a theme here? My house is much the same. It’s not that I don’t like neat places. In fact, when I go to clean, neat houses, I feel a small pang of jealousy. Truly, though, I don’t know how to live that way. I need visual reminders of what I need to do. If it is out of my sight, it is truly out of my mind. My husband and two children are much the same. We all have the messy gene. Therefore, we coexist rather peacefully. However, the simple truth is that we have too much stuff and some of it needs to go. The point of 40 bags in 40 days is to get rid of 40 bags of stuff out of your house during Lent. Of course, donated items count as well. As I was looking around my house on Ash Wednesday, I had the sudden feeling that this was something I desperately needed to do. I grabbed a couple of trash bags and explained the concept to my children. I expected a great deal of resistance, especially from my older son who likes to keep everything that crosses his path. Amazingly, they got into the project. That first day, we cleared two bags of items out of their playroom. I was so excited! The project was off to a great start. The next day, I started tackling the kitchen, and my husband started on our bedroom closet (despite the fact that he hates disposing of items as well). The beauty of doing one bag a day is that it is doable. One of the things that paralyzes me when facing the clutter is that there is so much of it. I can’t do it all at one time, not even one room. Yet, I can do one bag. When I have filled up one bag, I feel like I have accomplished my goal for the day. I cross it off on my things to do list and up the total of bags completed. Truly, I don’t know if we will be able to fill 40 bags or not. As of this writing, we are at seven. Still, I am excited and happy with the progress so far. Admittedly, most of the items cleaned out so far have been in cabinets and closets. Looking around my house, no one would see much of a difference. Still, I know that it is getting done. I’m giving away as much as I can so that I am helping others as well as cleaning my home. Lent calls us to strip away all that is keeping us from God. Too much stuff can definitely be part of the problem. Lent is a good time to physically remove some of the things that we don’t need anymore. I’m embracing this Lenten project with enthusiasm and wonder where removing 40 bags of excess will leave me. Like so many other things in my life, it is a work in progress. In this relatively brief book (105 pages), Murphy explores the many reasons why fasting is important: it integrates prayer as being both of body and spirit, it is part of a long-standing tradition of Jewish and Christian practice, it helps to heal our relationship with God, and it helps us stand in solidarity with the poor and hungry. Overall his discussion of these points is extremely well-done. Based firmly in the witness of the Bible and pillars of the Christian faith, his argument that fasting is important and necessary is a strong one. This being said, I offer one minor criticism. Murphy offers the example of Simone Weil in his chapter on standing in solidarity with others. He writes: “Simone Weil died on September 3, 1943, in exile from France in England, at the age of thirty-four, having starved herself to death. Suffering from tuberculosis, she refused in solidarity with her countrymen in Nazi-occupied France, to eat more than they were able to eat. She stands as a witness to social justice and to the significance and hazards of religious fasting.” That word “hazards” indicates that Murphy did realize that Weil went too far. However, in the following paragraphs he really does hold her up as a role model. I respectfully disagree. Fasting to the detriment of one’s body is not in keeping with the respect God wants us to have for our bodies. 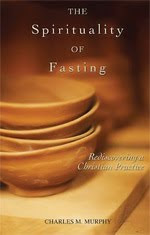 Thankfully, in the chapter which offers practical ways to incorporate fasting into one’s life, he advocates a much more healthy take on fasting. Following in the footsteps of St. Francis de Sales, he writes: “Your work and state in life are primary; fasting should not impede your ability to perform your duties , or endanger your health.” I like that, unlike some other books on fasting that I have read, he acknowledges the worth of a partial fast – of simply giving up one meal, or cutting back on what one eats. He also agrees there is much to be said for other types of fasting and sacrifice, such as fast from media, or talking unnecessarily. “The Spirituality of Fasting” does much to encourage readers to make the practice of fasting part of their lives. 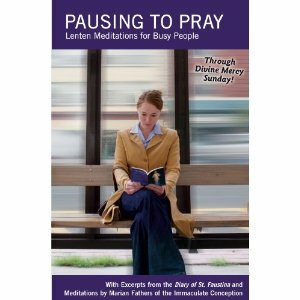 It is good reading for Lent or for any time of the year!